The lazy days of summer offer the perfect excuse to head out to your favorite lake, stream, or river and try your hand at catching a few fish. It’s also a great time to share your love of angling with others, so we put together these tips – inspired by our brand new Angling Path on the TYO website, created in partnership with the U.S. 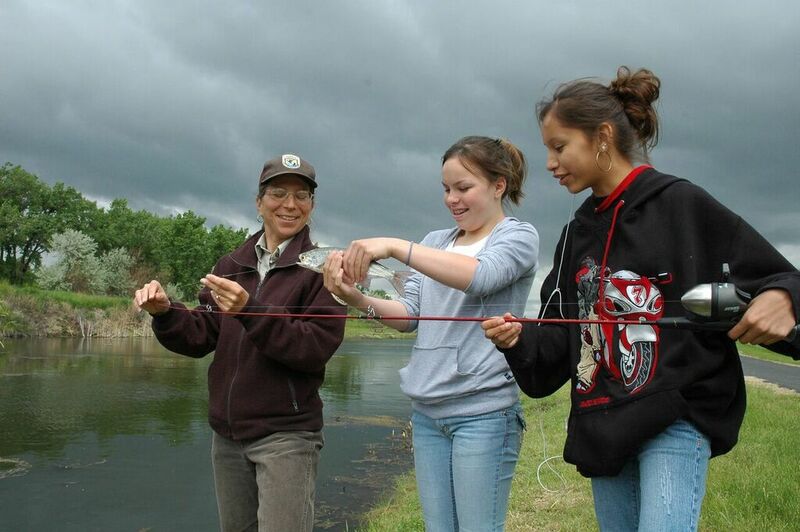 Fish and Wildlife Service – to help you launch a successful angling program. The universe of angling is quite varied – from ice fishing on a lake in northern Minnesota to casting off of a boat in the Pacific Ocean, there are many ways to enjoy the sport. Before you decide to test the waters with an angling program, it’s best to nail down exactly what type of fishing you want to teach, since this will help you figure out programming locations, lesson plans, staffing needs, safety preparations, and necessary equipment. This might depend on time of year, nearby bodies of water, permitting issues, and experience level of your group. 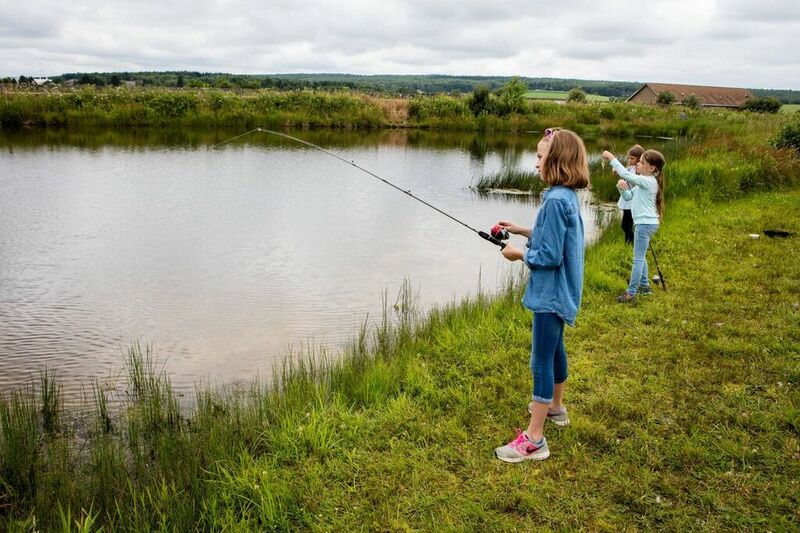 You’ll also want to decide whether to plan a one-off outing or an ongoing angling curriculum. Staffing: Who will lead instruction for each phase of your angling program, or for your day trip? You’ll want to ensure that staff and volunteers understand the basics of group management and facilitation, while also promoting the principles of Leave No Trace. In addition, instructors should have angling experience, familiarity with the location and its hazards, and an understanding of proper fishing technique and etiquette. Teaching Topics: What angling-related topics do you want to teach in your program? This can range from a one-day angling trip to an ongoing series of lessons ranging from stewardship and ethics to aquatic ecosystems and fisheries management. For inspiration, visit our lesson plans for Spin Fishing, Fly Fishing, and Ice Fishing. Documentation: What kind of paperwork is necessary throughout your program? Create and manage all paperwork ahead of time, from participant intake forms to daily planning sheets, so that you’re organized when the time comes to launch the program. If you’re looking for guidance on where to start, check out our Trip Log, Local Operation Plan, Angling Day at a Glance, and Angling Day Planner. Location: Selecting a location is dependent on the type of angling you’ll teach, ability to safely accommodate your group, and available transportation. You’ll want to check whether any permits or licenses are required to fish in this location, and you’ll want to communicate your group’s needs and plans with the managing agency or organization. Transportation: How will participants, staff, and volunteers reach the program site? Consider whether there is adequate parking available, whether any permits are required to park, and what type of vehicle(s) will be needed to transport participants, staff, and equipment. Equipment: Consider what gear is necessary not only for the specific type of fishing covered in the program, but on a more general level for a classroom or field trip activity; this might include everything from snacks to a first aid kit. For a customizable starter list, visit our Angling Gear Checklist. Safety: What objective hazards exist in the location and with the specific type of angling you’ll teach? Consider alternate plans for foul weather, ensure participants are wearing safety gear, and make sure you have a Local Operations Plan (see above) filed away. And of course, don’t forget to visit the brand new Angling Path on the TYO website, created in conjunction with the U.S. 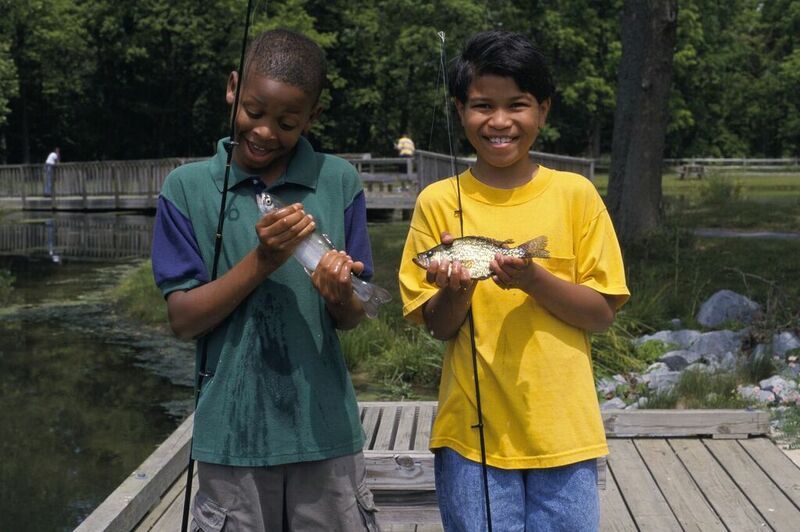 Fish and Wildlife Service, which contains a host of angling-related resources!